In this magnificent work of fiction, acclaimed author William T. Vollmann turns his trenchant eye on the authoritarian cultures of Germany and the USSR in the twentieth century to render a mesmerizing perspective on human experience during wartime. Through interwoven narratives that paint a composite portrait of these two battling leviathans and the monstrous age they defined, Europe Central captures a chorus of voices both real and fictional— a young German who joins the SS to fight its crimes, two generals who collaborate with the enemy for different reasons, the Soviet composer Dmitri Shostakovich and the Stalinist assaults upon his work and life. "His most welcoming work, possibly his best book . . . part novel and part stories, virtuoso historical remembrance and focused study of violence." "A jarring, haunting, absurdly ambitious symphony of a book . . . It has an emotional force capable of ripping almost any reader from his moorings. . . . Vollmann has done as much as anyone in recent memory to return moral seriousness to American fiction." "Resembles War and Peace not merely in its scope, but in its perception of history as a determining force that individual lives merely illustrate . . . Aspires to the highest possible potential of literature." "A grimly magnificent dramatization of the impossible moral choices forced on individuals by these totalitarian regimes . 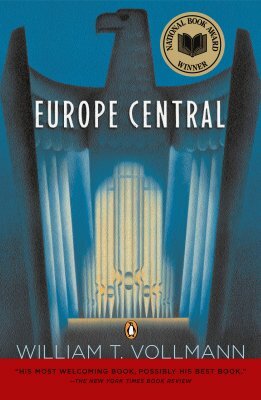 . . if you have been following Vollmann's extraordinary career, Europe Central may be his best novel ever." "Profound . . . Vollmann asks us to put aside what we think we know of history and immerse ourselves in it once again."